As a blogger I can across a very affective way used by many blogger to quickly increase their blog productivity, This they called Guest Posting. 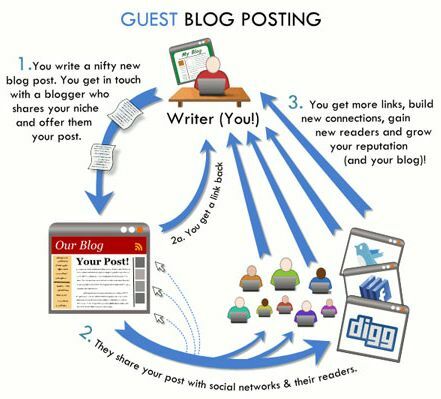 What is Realy Guest Posting and why it is at a boom. Many Writer Across the Globe search for website or blogs to publish their article, this is just like the newspapers hiring people to write article for their news paper the only difference is this is a blog or website and those are the Big News paper. So, By looking this craze of people to publish their article on website/blog , blogger got the idea of Guest blogging where people get a chance to write for big website owner and blog owners. There are some benefits and some side affects of Guest Posting Read it in our next post. Guest blogging is the best promotion anyone can do on the Internet. You just need to do it on higher ranked blogs that are much higher than yours.